Retailers are expected to enjoy a robust holiday season with total consumer spending to exceed $1 trillion. According to Matthew Shay, National Retail Federation (NRF) President and CEO, “Thanks to a healthy economy and strong consumer confidence, we believe that this holiday season will continue to reflect the growth we’ve seen over the past year.” Despite the recent downturn in the stock market and the overdose of propaganda during the mid-term elections, consumers feel very confident in the overall economy and appear to be putting their money where their mouths are. 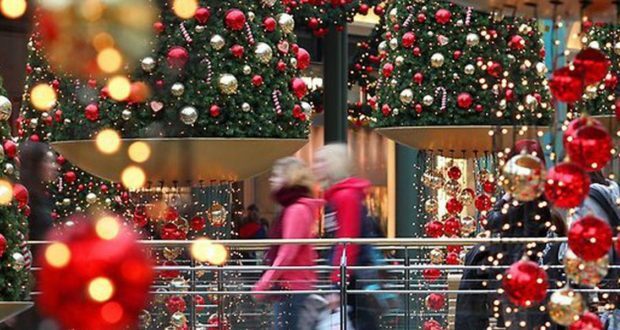 NRF forecasts holiday sales will increase between 4.3 and 4.8 percent. For the second year in a row, the holiday season is feeling the effects of the “Trump Bump.” In 2017, growing wages, stronger employment and higher confidence, complemented by anticipation of tax cuts led consumers to spend more than expected. This season, according to NRF Chief Economist Jack Kleinhenz, “With this year’s forecast, we continue to see strong momentum from consumers as they do the heavy lifting in supporting our economy. The combination of increased job creation, improved wages, tamed inflation and an increase in net worth all provide the capacity and the confidence to spend.” Consumption, as measured by consumer spending, accounts for approximately two-thirds of GDP. 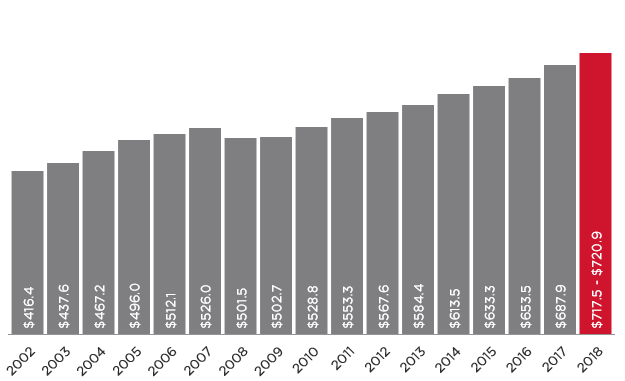 Strong income growth: Consumers are expected to see a disposable income growth rate in the 5% to 5.4% range this year, according to Deloitte’s US economic forecaster Daniel Bachman. The prospect of growing wages is likely to make shoppers feel much more comfortable with spending more on holiday purchases. Solid labor market: The US is currently adding around 200,000 jobs per month, and the unemployment rate is at a strong 3.9%. With steady employment, consumers are likely to have more disposable income on hand to spend on gifts during the holidays. 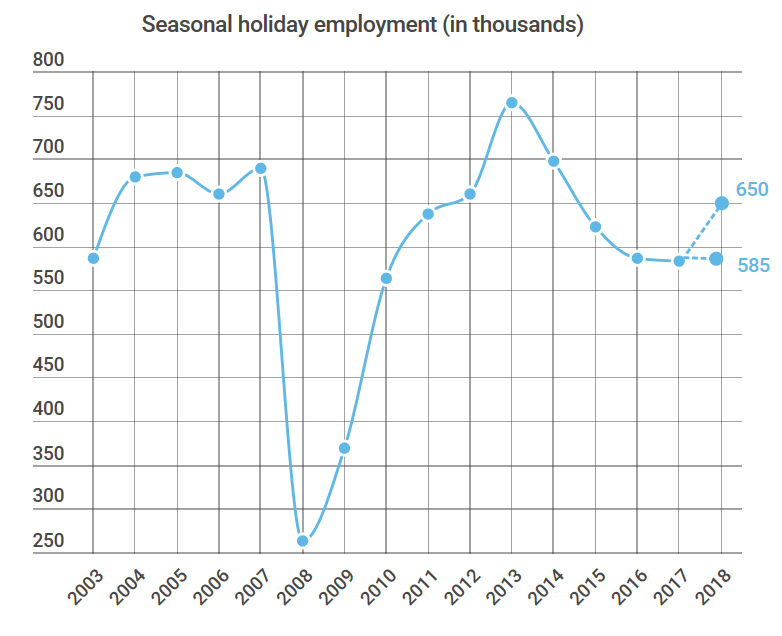 The strongest level of seasonal hiring since 2012 is a bullish indicator for the retail sector. The Bureau of Labor Statistics forecasts seasonal employment to grow between 585,000 and 650,000 jobs. That’s over half a million people with extra money in their pockets, as well as bulking up help for retail in what is expected to be a banner season. Thanks in part to the Trump Bump, it looks like the retail sector is going to be on Santa’s “Nice” list this holiday season.